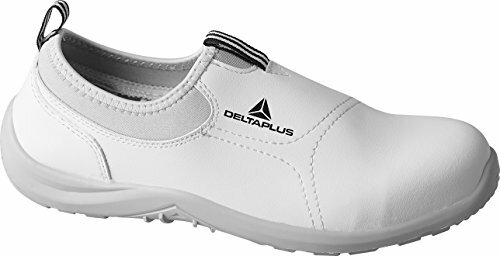 If you are looking for white safety footwear, then I recommend you read this article where I am going to answer the most frequently asked questions about safety shoes in this colour, to help you find the perfect product for your needs! 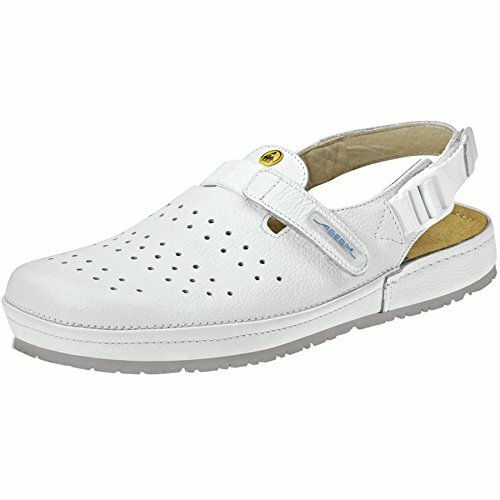 1 When should white safety shoes be used? 2 Why are they white? 3 What are the sole and the upper made of? 4 What additional properties can they have? 5 What are the recommended models of leather safety shoes? 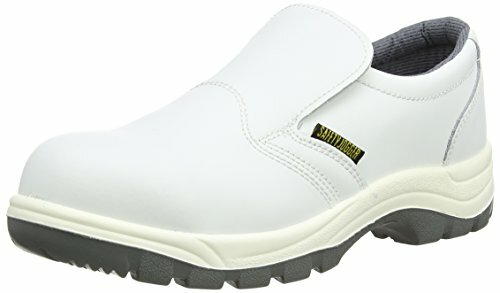 When should white safety shoes be used? 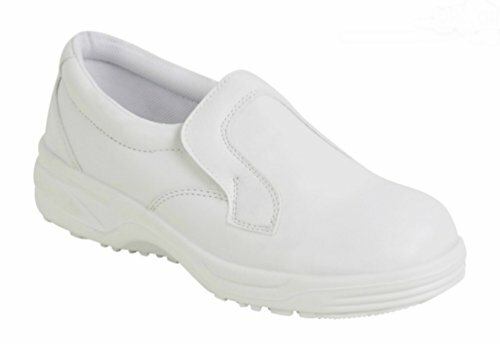 Normally in the health and hospital sector and in cleaning services, one needs to regularly check whether his footwear is clean or not, hence the white colour helps because it makes dirt visible. 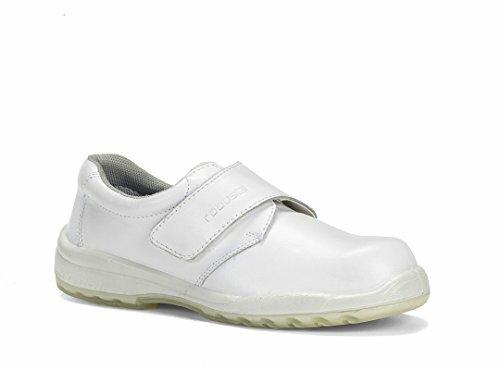 In this sector, uniforms are often white too, so the shoes match the uniforms. What are the sole and the upper made of? 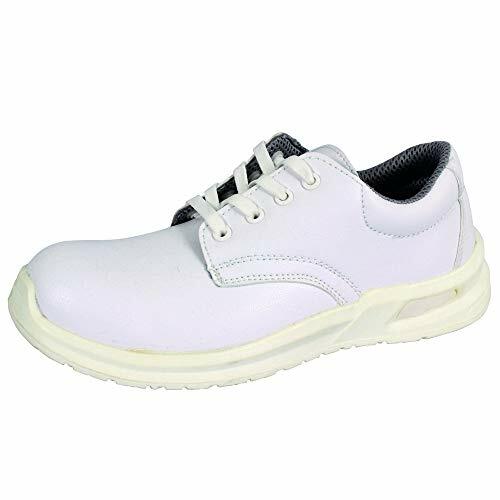 Generally, the soles of white safety shoes are made of single-density polyurethane (PU) if the best possible comfort is a priority, and of double-density PU if they are a compromise between comfort and durability of the sole. 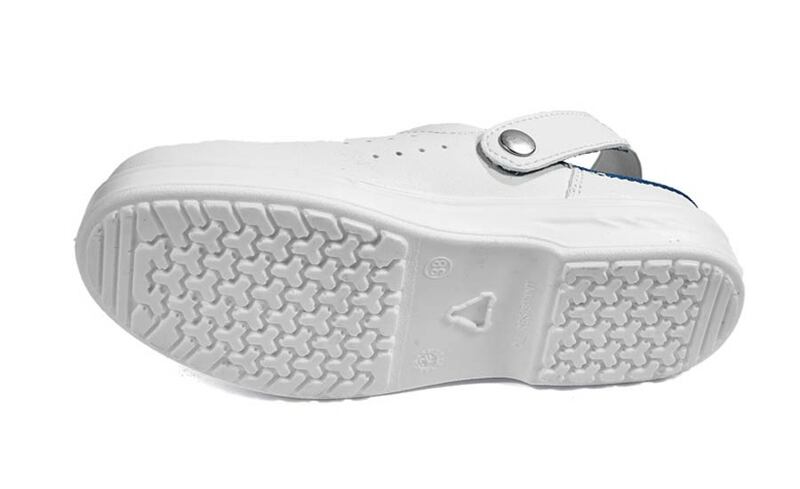 The upper is, in most cases, made of leather with a layer of polyurethane, which makes it resistant to wear and chemicals, or of microfiber, which is a material more resistant to chemicals and bacteria. 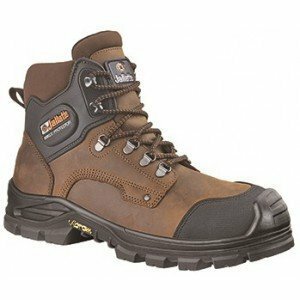 What are the recommended models of leather safety shoes? 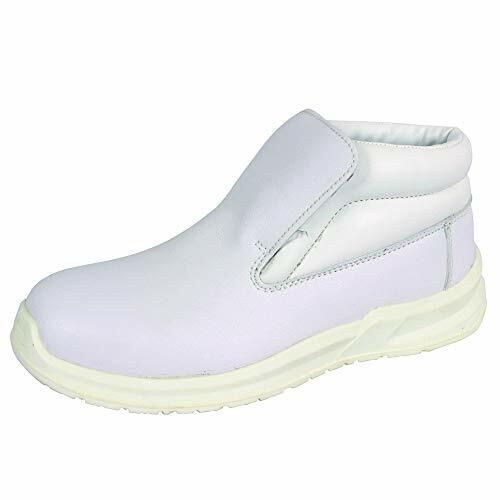 White safety footwear can be of various types: sabot, clogs, shoes; so, there are several models among which you can choose, according to your personal needs. They can be equipped with a toecap (20345) or not (20347). 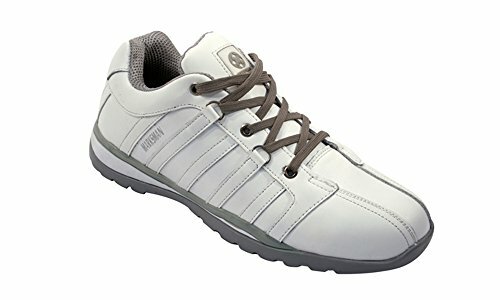 These are my recommendations if you are trying to figure out what is the best model of white safety shoes for your needs. 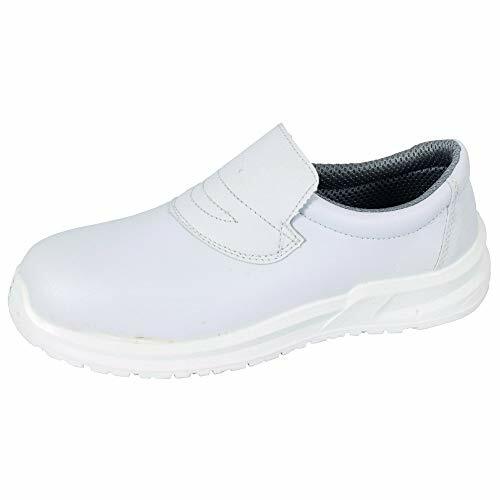 As soon as you choose your pair of white safety shoes you will be better protected at work and working will become a better experience for you. 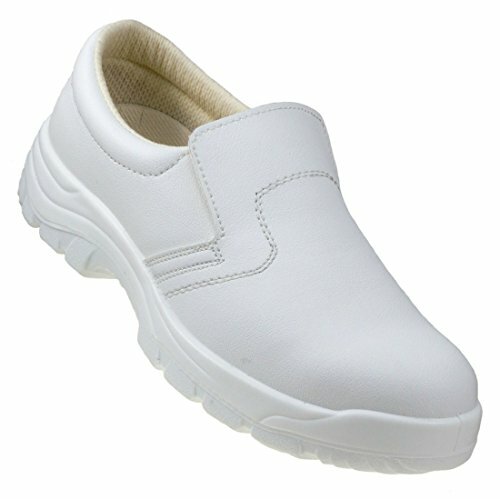 What do you think about white safety shoes?